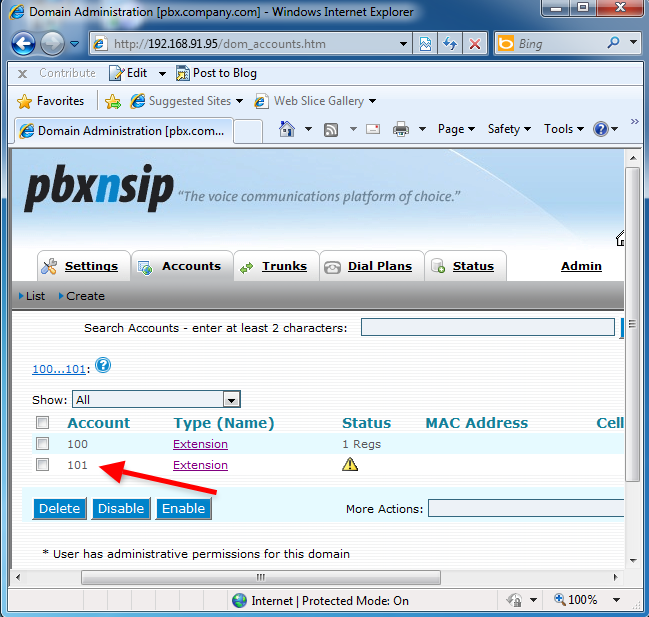 This guide shows you how to register 2 users on PBXnSIP and add 1-1 extension to each user. One of the extensions can be connected to Ozeki 10. 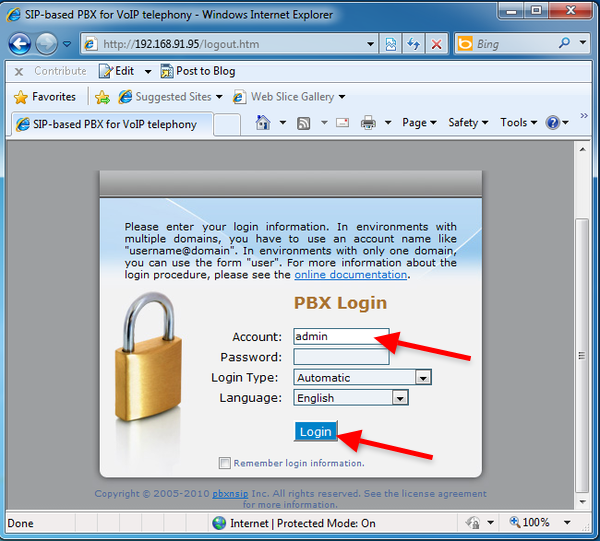 Before you start to configure this solution it is assumed that you have already installed PBXnSIP on your server. 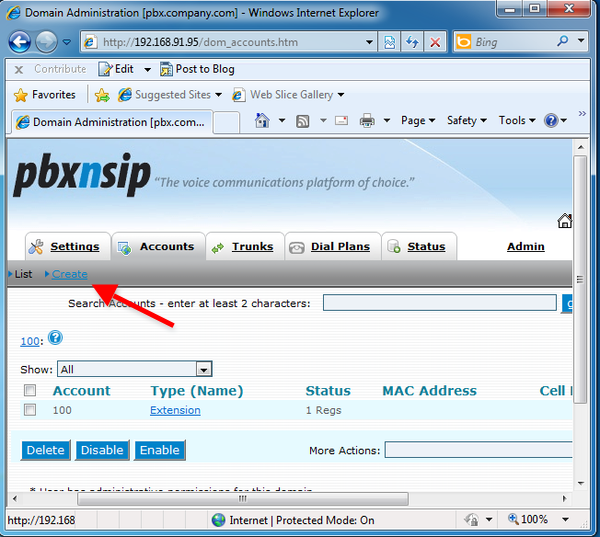 In this example I have installed PBXnSIP to a computer which IP address is 192.168.91.95. 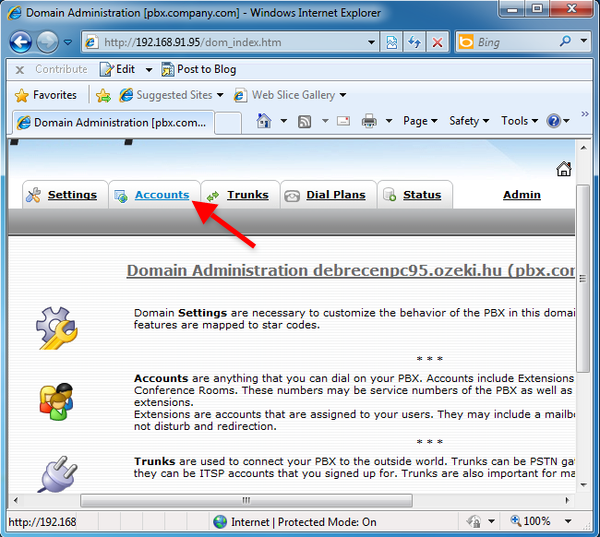 Start a browser and navigate to the built-in web interface of it, and login as administrator (Figure 1). Here you can see the created Extensions. I have already registered an extension and its name is 100. I will register a VoIP phone to this account. Click on 'Create' to create a new extension (Figure 3). Here you can create new accounts. 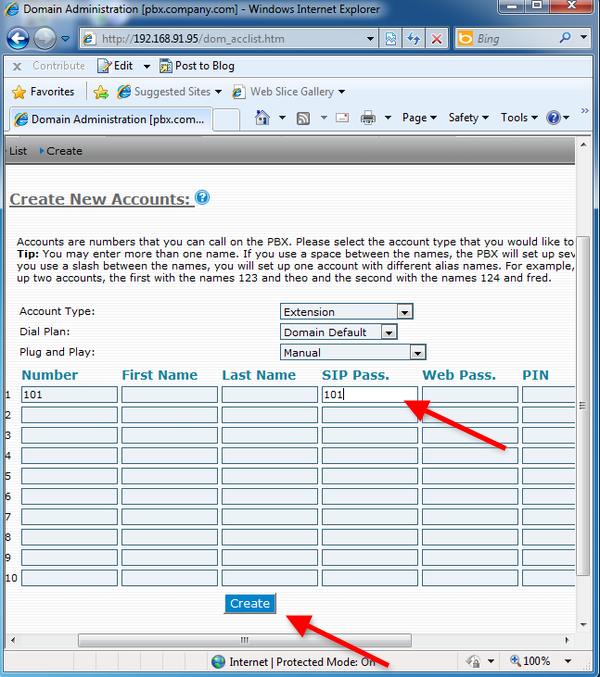 Provide a Number and a SIP Password, and click on 'Create' (Figure 4). On Figure 5 you can see the created extension.